Our world-class service not only pertains to the cars we own, but to the cars we consign for our discerning sellers. 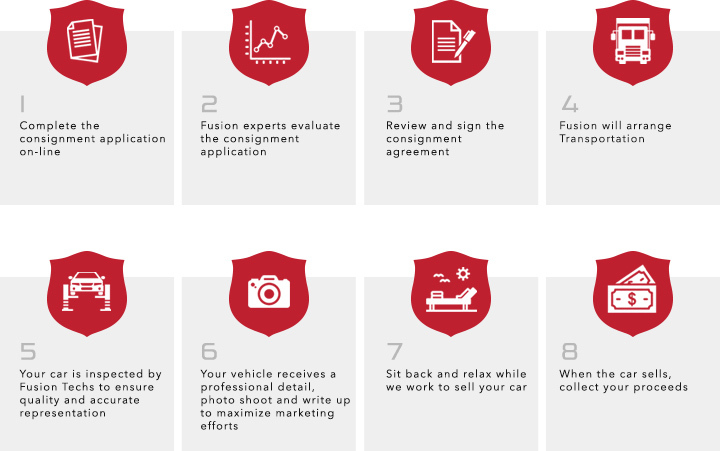 Fusion Luxury Motors has perfected a marketing strategy that allows both high-end buyers and sellers to benefit from our program and this is reflected in a very successful sell through rate. Your consigned vehicle will be kept in a state of the art, secure facility. Your vehicle will be kept in prestine condition as it is viewed by potential buyers online and in person. Get the Consignment Process started by completing the following form. We look forward to learning more about your vehicle and sharing with you why own the leading Consignment Program in the country.